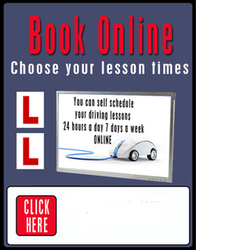 Book Driving Lessons with your Instructor, online or over the phone it's up to you! We are able to provide help and information to prepare you to sit the Theory Test. Visit the Theory Test Training page for more information. We can also arrange to book your Practical Driving Test for you at a time that is convenient to you and your driving instructor. Please ask our telephone staff for this service if required and we will be pleased to assist you and give any advice required. Call 0800 958 9520. We urgently need qualified instructors to cover all areas of Sussex especially Horsham, East Grinstead, Crawley, Horley, Reigate and Redhill. Are you an existing ADI, looking for more work and new challenges?